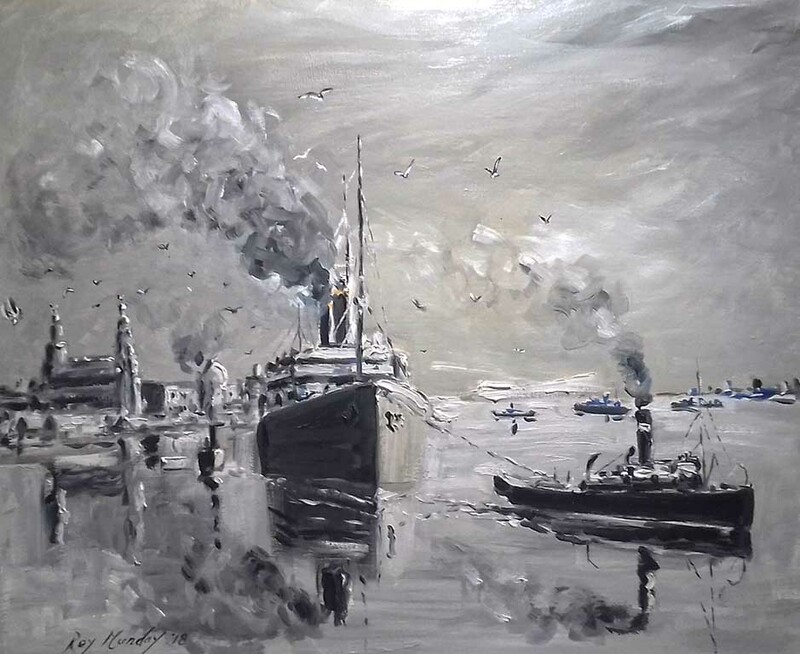 An oil painting of the dock, Saul Junction, Sharpness to Gloucester canal. 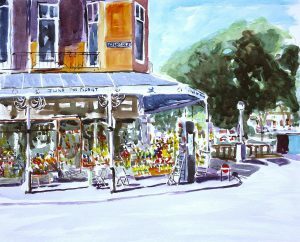 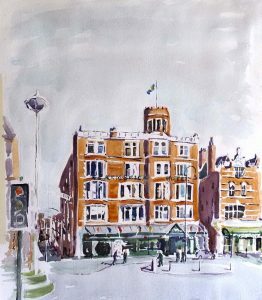 Watercolour, June, the florist, Eastbank street, Southport, Merseyside. 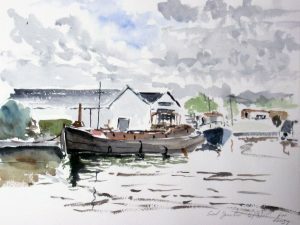 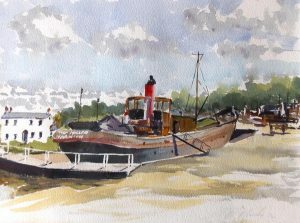 Another painting, watercolour, of the old dock, Sharpness to Gloucester canal. 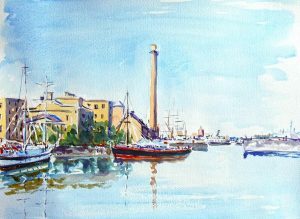 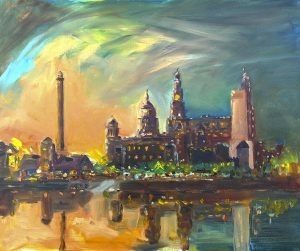 Another painting, watercolour, of the Salthouse dock, Liverpool.